The East Tennessee Symphony Orchestra thanks everyone who attended the City of Collegedale’s 3rd Annual Collegedale Christmas Tree Lighting Celebration on December 2 at Founders Hall at The Commons. Symphonic music filled the air as the community came together to start the Christmas season on a joyful note. Many thanks to David Barto, executive director of The Commons, for setting the stage for the ETSO’s second performance in the Founders Hall. 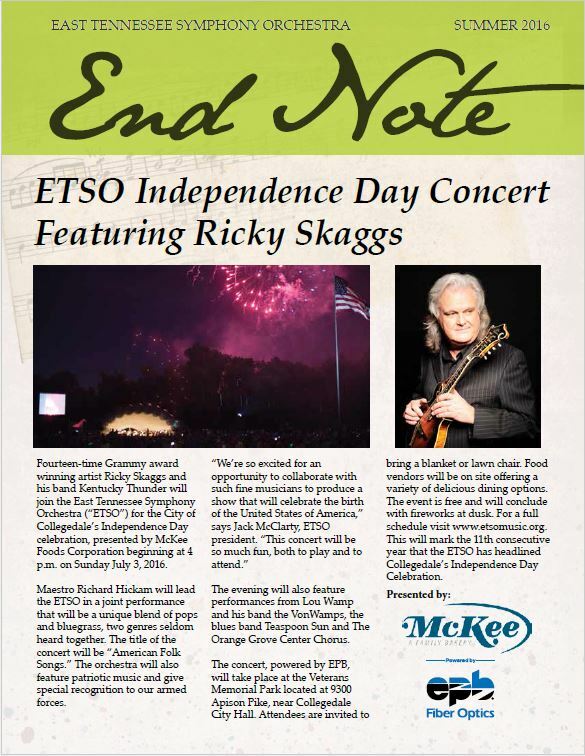 Click here for a schedule of upcoming performances as the ETSO brings world-class music to the East Tennessee Valley.